Riot Games is wholly owned by Tencent Games, which purchased a majority stake in 2011 and finished the acquisition in 2015. Some time during that period, Tencent asked Riot to develop a mobile version of League, recognizing the overall greater popularity of smartphones than PCs in China. 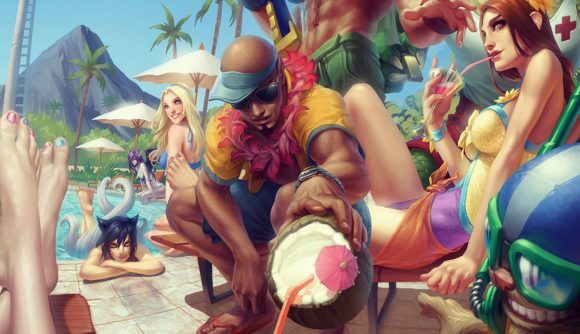 Riot wasn’t interested in making a more casual version of League appropriate for those devices, however. In both statements, the company makes its usual allusion to putting the ‘s’ back into ‘Riot Games.’ The studio does indeed have new games on the way – or so it keeps saying with increasing emphasis and frequency. Whatever the state of the current relationship with Tencent and regardless of League’s player numbers, the studio is shaking things up, and we’re due to see the results of those changes soon.